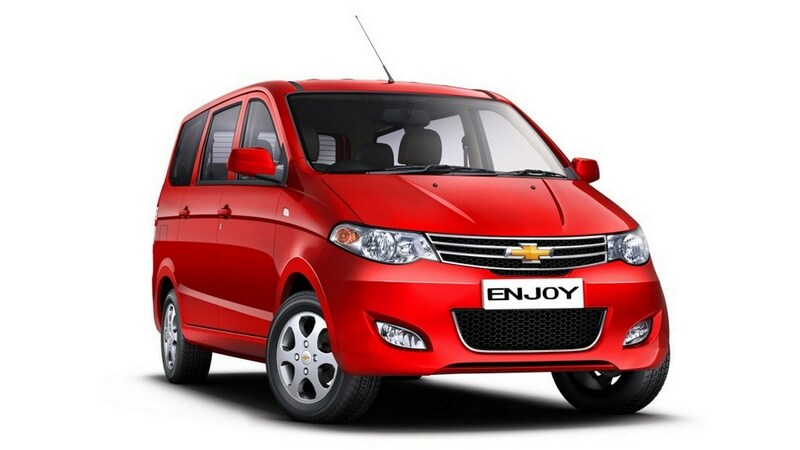 The recently launched MPV from GM - Enjoy started gaining momentum in the market and registered 2100+ units of sales into GM's kitty for May and let it achieve a sales of 8500 units for the month. The stroy however does not ends here for the American carmaker and it plans to launch a sub 4 meter MPV too based on the same platform. The smaller version of MPV - Enjoy would thus enable the carmaker to get excise duty benefits for a sub 4 meter car and the price could further go down by another Rs 40,000 on account of lower taxes. Trimming of third row could offer another Rs 30-35,000 and the total cost of the car could be reduced by apprx. Rs 75,000. However, to avail the excise duty benefits, the carmaker needs to replace the 1.4L Petrol engine with a 1.2L Petrol engine which is currently powering Sail U-VA hatch. The Diesel motor need not be changed as it follows the excise duty benefits regime. The current Enjoy is 4305mm long and hence engineers will have to condense the MPV by more than a good 305mm. The shortened version of the car is also expected to shed around 150 kgs of weight than the current sibling. We will have to watch out whether the reduction in weight and size does offers a better mileage and performance ! Stay tuned which we get back with more information on the same.